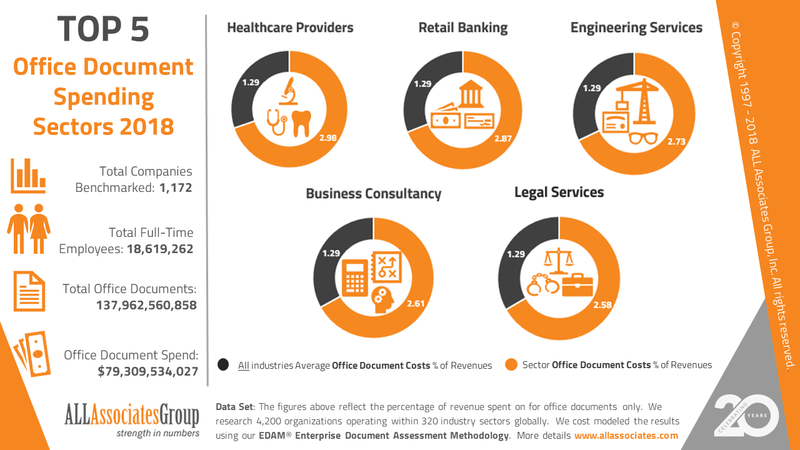 This graphic represents the Top 5 Global Industry Sectors based upon Office Document spending as a percentage of industry revenue. ALL Associates annually conducts in depth research and analysis of document costs, volumes and trends in over 4,200 global corporations and organizations. 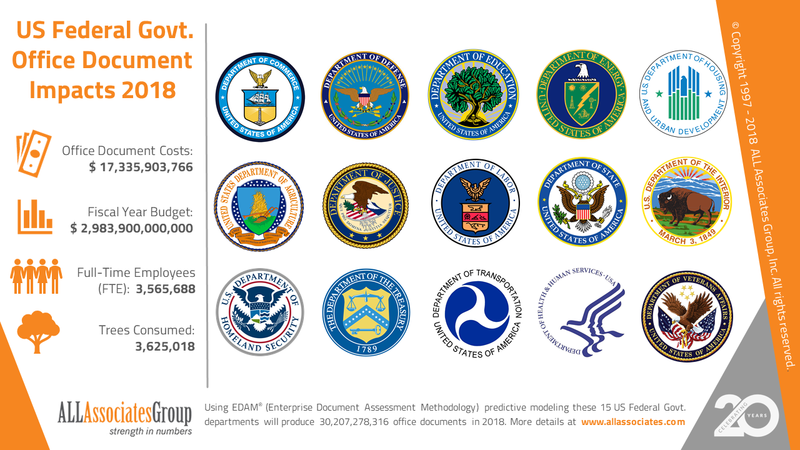 Using our industry leading predictive modeling tool, EDAM, we are able to produce highly reasoned, detailed and personalized analysis of fully burdened document activities. ALL Associates annually conducts in depth research and analysis of document costs, volumes and trends within all international governments. Using our industry leading predictive modeling tool, EDAM, we are able to produce highly reasoned, detailed and personalized analysis of document activity in any given organization. This chart outlines the 15 Executive Branch department of the US Federal Government which represents approximately 66% of the 2018 annual federal budget. In this, the 20th year of publication, for 2018 we conclude from our research that the average, fully burdened cost of each office document is 56.6 cents.